From one of the world’s best fitness brands comes the Adidas T-16 Treadmill. This premium treadmill is equipped with a number of features that make it a great partner for daily intensive exercise. With a large 51cm x 153cm (20'' x 60'') cushioned running belt, 18kph top speed and incline of up to 15% you can focus on both weight loss and high-intensity training sessions. A bright-lit 5” LCD screen will show your core data and the console even has a wireless heart rate receiver so that you can truly be in charge of your own output levels. The T-16 Treadmill comes with an impressive 30 built-in programmes as standard. These offer a wide selection to ensure that your workout routine stays fresh and challenging. They have all been designed by fitness professions to help push your performance to the next so you can progress much faster towards your fitness goal. From the 30 programmes, you can choose between the pre-set, target time, target distance, target calories and even two heart rate control systems. 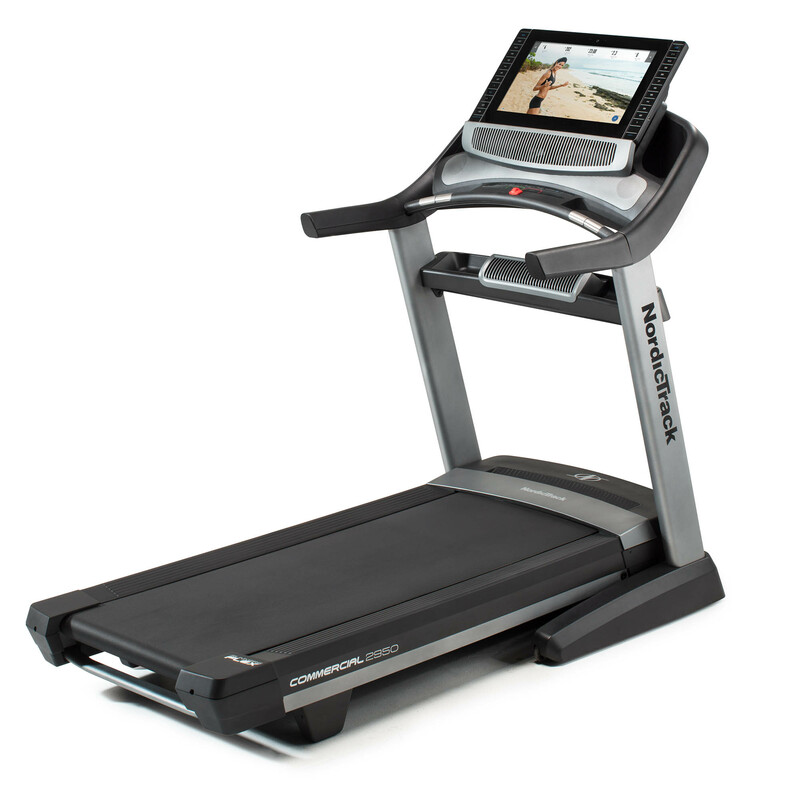 It is worth noting that the T-16 is not compatible with the popular iFit programme so if this is something that you were looking for, try the NordicTrack Elite 4000 Treadmill. 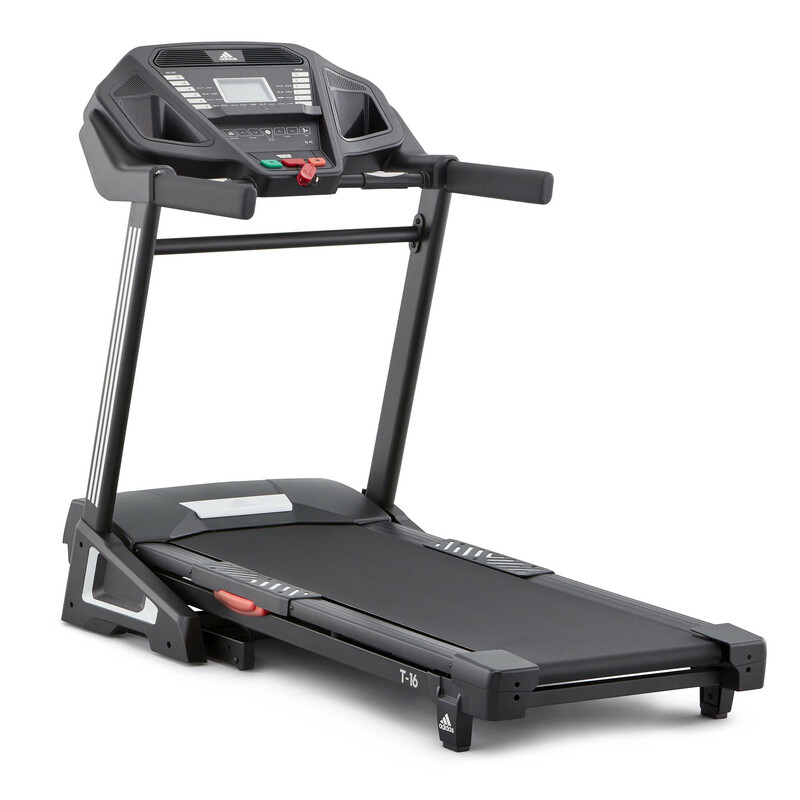 This treadmill is designed to withstand intensive workouts, and so we’re glad that the deck is cushioned. Why is it important that the running deck has cushions? It is quite simply that having a cushioned running deck has been proven to dramatically reduce the pressure and shock on your joints. The unique cushioning design from Adidas enables users to have a soft land with suspension. The running belt is 1.6mm thick and your top speed is 18kph so you can be rest assured that you won’t suffer joint pain with the T-16. This T-16 runner is built on 1.8" (46mm) rollers and at 20'' x 60'' the running deck is larger than many other products on the market. 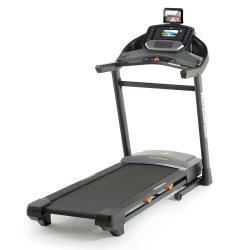 However, if you are over 6ft or have a particularly long gait then we would recommend looking at the NordicTrack 2950C Folding Treadmill which has a few extra inches. The T-16 is powered by a 2.75HP motor which can reach levels of 3.5HP at its peak. This is excellent to support the incline feature which you can use at any point of your workout. The incline feature of 0 - 15% ensures that you are working all of your muscles, creating a much more rounded full body workout. This model does not have a decline feature, so if this is something that interests you then the NordicTrack X22i, might be worth looking at. The quick incline controls make it easy to toggle between incline amounts during your workout, meaning that you can manage your own challenge levels to create a better performance. So, how do I keep track of my stats? The T-16 features a backlit 5” LCD screen that clearly displays your key stats including speed, time, distance, calories, pulse and incline count. Your all-important heart rate data is captured by the soft grip pulse sensors. The console has a wireless receiver for even more accurate readings, and this can be used with any compatible chest belt transmitter. The Adidas T-16 Treadmill has proven to be a high-quality piece of machinery and with its superior specs, we think that it is great value for money. Although we would have liked it to be iFit compatible we’re convinced that with 30 programmes and the ability to watch fitness videos via a tablet on the integrated display, you'll have enough options to stay focussed and motivated.